In this article, we gathered the best-rated and best-selling baby shampoos and sorted them from the lowest to the highest-rated. 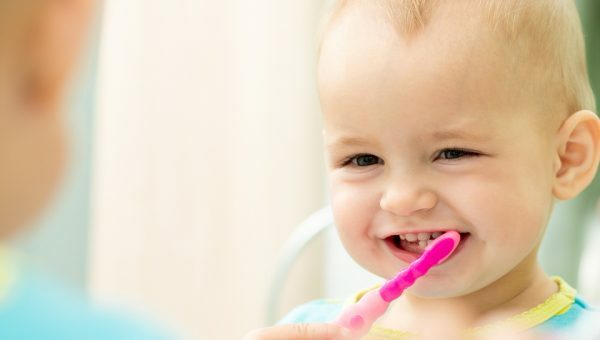 We analyzed the products by taking a look at their ingredients, effects on hair and skin, and whether they are hypoallergenic, tear-free, and organic to find the best baby shampoo. We also went through customer reviews and verified the information provided by the manufacturer. 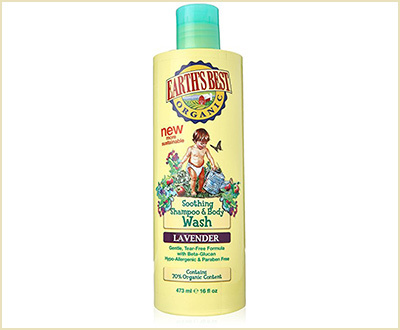 This hypoallergenic shampoo by Earth’s best is a tear-free shampoo and body wash that contains beta-glucan, chamomile, marigold, aloe vera gel, vitamin E, and lavender. 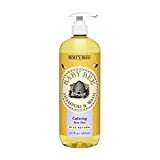 It gently nurtures hair and skin and comes in 16 fluid ounces bottles that, according to online reviews, last for at least 2 months. 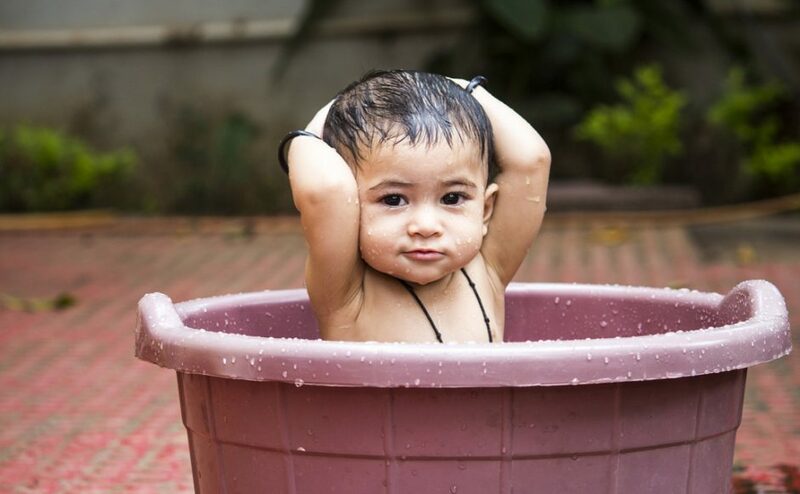 Although not 100% organic, this Earth’s Best baby shampoo has mostly organic ingredients. The soft lavender scent lasts throughout the day. Works well to hydrate the hair and skin. This product is a bit pricey. Bottom line: Ideal for parents looking for a (mostly) organic, natural, and tear-free baby shampoo. 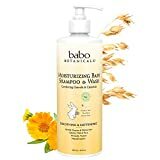 This plant-based baby shampoo is rated #1 in safety by the Environmental Working Group due to its ingredients. Its unique and certified organic nutri-soothe blend contains oat milk, calendula, chamomile, watercress, and kudzu extracts, as well as vitamins and antioxidants. The formula works great for dry and extremely dry skin, eczema, or infantile seborrheic dermatitis (cradle cap). Although the manufacturer does not mention whether it’s a tear-free shampoo or not, most verified customers state it is a tear-free product. However, a small percent noticed discomfort when the product got into their or their babies’ eyes. Soothes extremely dry skin like no other. A small amount is enough for a good lather. A very good quality/price ratio. Some users find that this shampoo is not tear-free. Has a strong calendula smell. Bottom line: The best baby shampoo for eczema, very dry scalp and hair, or cradle cap. 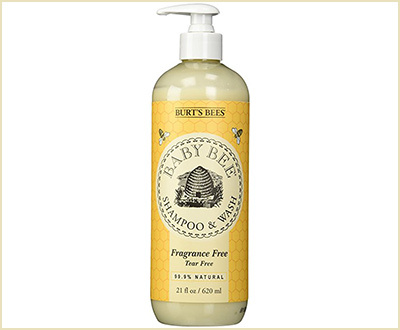 The Baby Bee product line from Burt’s Bees is a tear- and fragrance-free shampoo that gently cleans the baby’s hair with aloe, oat flour, and soy proteins. The manufacturer states this shampoo is 99.9% natural and completely free of artificial fragrances, petrochemicals, parabens, sulfates, or phthalates. It’s hypoallergenic and comes in 21 fluid ounce bottles. Is free of artificial fragrances and ingredients. Does not leave buildup behind. Has a discreet natural smell. This product does not foam up like some other products. 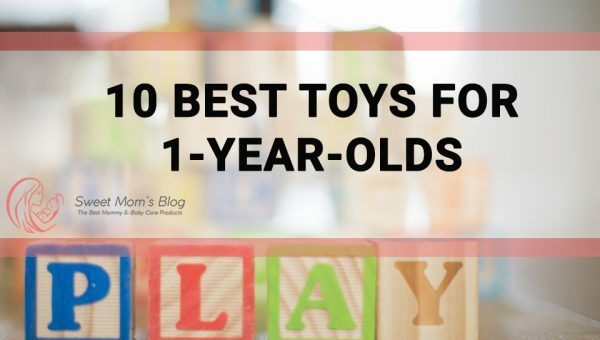 More expensive than other products on this list. 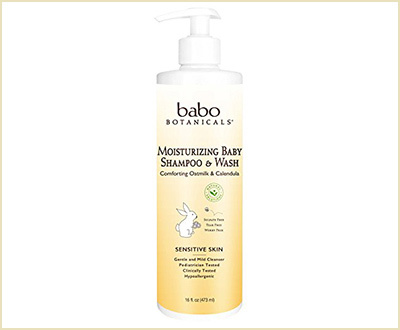 Bottom line: This is one of the best organic & hypoallergenic baby shampoo with a pump-style top for convenient use. This therapeutic-grade natural baby shampoo is designed for babies with sensitive hair and scalp and comes in bottles of 8 fluid ounces. It contains vitamins C, E, K, and antioxidants from blueberry, cranberry, strawberry, and sunflower seed extracts that delicately clean and nourish the hair and scalp. This product is entirely free of GMOs, sulfates, parabens, formaldehyde, quartenium, and dioxane. In addition, it is certified by GMP (Good Manufacturing Practices). In addition, it also comes with a 100% money-back guarantee; it’s one of the best organic baby shampoo options this year. This product is non-GMO and GMP certified and is free of harsh chemicals. One of the best baby shampoos for dry scalp. Has a very light, yet particularly clean and fresh smell. Seems to sometimes sting the eyes. At 8 ounces, the bottle is a bit small. Pricier than most if we look at the price per ounce. Bottom line: Ideal for parents looking for the safest baby shampoo as it’s a non-GMO product free of harmful chemicals. 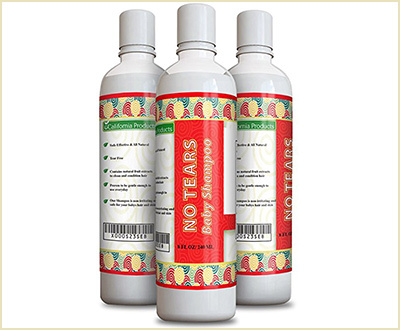 This hypoallergenic baby shampoo comes in 7.8 fluid ounce bottles and has a gentle tear-free formula. It contains organic calendula extract to calm and soothe the skin and is free of parabens, colorants, and mineral oils. The manufacturer states this baby wash and shampoo is dermatologist tested and has a non-drying lather, which means it’s ideal for babies with extremely dry skin, scalp, or eczema. It has a rich lather and is easy to rinse off. This product does not contain any mineral oil, colorant, or parabens. It is one of the best hypoallergenic baby shampoo options at the moment. Some parents are not too fond of the smell. Some reviews state it is not tear-free. Bottom line: Ideal for parents looking for the best hospital-grade baby shampoo. Baby Mantra is a 3-in-1 shampoo, body wash, and bubble bath combination that works to soothe, calm, and moisturize the hair and skin and comes in 12 fluid ounce bottles. This product is cruelty-free (PETA certified), gluten-free, and vegan, as well as EWG-verified (Environmental Working Group). It is free of sulfates, parabens, phthalates, dyes, artificial fragrances, or any other toxic chemicals. Non-toxic 3-in-1 hair and body wash.
Has a great delicate smell. This product is not tear-free and can sometimes sting the eyes. Bottom line: This is the best natural baby shampoo and body wash combo that is vegan certified and free of harmful ingredients. The tear-free foam shampoo for newborns by Mustela has an ultra-gentle formula that treats cradle cap and is an extremely effective moisturizer. It is 99% plant-based and biodegradable and contains avocado perseose, climbazole, BHA, and salicylic acid. It is hypoallergenic, but not organic. This product is 99-percent plant-based. The shampoo is tear-free and the pump dispenser works well for convenient application. The foam is gentle to use. This product is quite expensive for its weight. Some parents say the scent is too strong. Bottom line: This is the best baby shampoo for dry scalp and cradle cap if you get over its stronger scent. 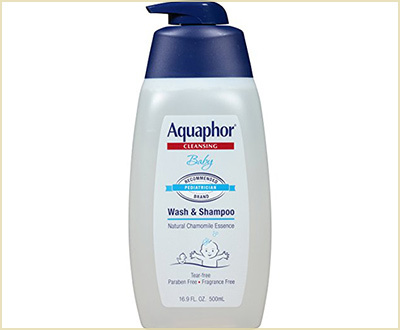 The Aquaphor baby shampoo and wash has a tear-free formula with a light lather that rinses easily and does not dry out the skin. It contains chamomile essence, panthenol, and citric acid. 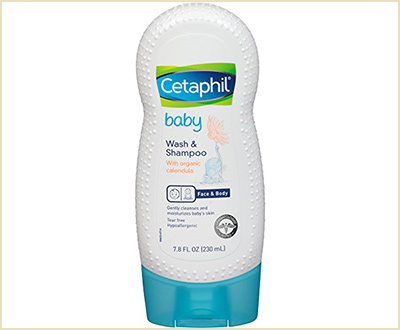 This shampoo is clinically proven to be gentle on your little one’s skin and scalp. This pediatrician-recommended baby shampoo comes in a 16.9 fluid ounce pump bottle. Soothes and cleanses the hair and skin without drying them out. This product is easy to rinse away and has no preservatives and is fragrance-free. The pump mechanism is not too flexible. Bottom line: It’s the best baby shampoo and wash for daily use since it does not have a strong smell and is gentle on the skin. Note: If you are concerned with the products that come in contact with the delicate skin of your baby, we also recommend reading our article on the best baby laundry detergents of 2018! Puracy Natural Baby Shampoo is a third generation hypoallergenic and tear-free formula with more suds. This baby shampoo has 100% natural botanical extracts and sea salt and takes its delicate smell from the natural pink grapefruit essential oils. It is completely free of sulfates, artificial preservatives, allergens, triclosan, formaldehyde, salicylates, phosphates, petroleum-based products, animal by-products, dyes, or perfumes. It comes in 16 fluid ounce bottles. Does not contain any artificial ingredients or harsh chemicals. Some users find that this is not tear-free for their little ones. Bottom line: This is the best baby shampoo for individuals looking for a doctor formulated and 100% safe product. Aveeno presents the best baby shampoo available on the market with their 18-ounce tear-free formula. This Aveeno baby shampoo is specially formulated for sensitive skin and contains natural cleansers, emollients, and essential oils as its active ingredients. This shampoo and body wash will moisturize and nurture the skin and hair with its rich lather and will leave a naturally fresh fragrance. Contains natural oat extract which is great for treating dry skin and eczema. Some parents do not like the smell. Bottom line: This is by far the best baby shampoo available based on its performance, comfort, and price, so we recommend it for all hair and skin types. 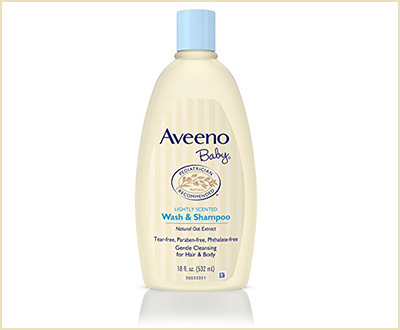 We consider the Aveeno baby wash and shampoo the best baby shampoo of the year thanks to its natural and safe formula. 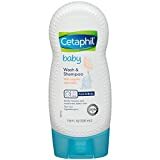 Nevertheless, you can’t go wrong if you go for any of the runner-ups from Puracy, Mustela, or Aquaphor since they all have delicate ingredients that are gentle on the baby’s hair and skin. Do you think the Aveeno shampoo deserves the top spot?